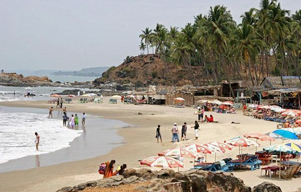 Mumbai to Goa Beach Tour is not just a beach tour for the name sake, but a perfect interpretation of how a beach tour should be. Stretched out for a period of 8 days, this itinerary offers tourists to explore the beaches of Goa in their own time and space. There is no rush of schedules in this tour as tourists can laze on the golden beaches of Goa, relax and rejuvenate in the company of balmy nature. The relaxed schedule in which this itinerary is laid out is another great way of this tour. Along with this, you get to visit the heritage circuit of Goa featuring convents, churches and basilicas. Towards the end, the tour moves to Mumbai, the city of dreams where you get to see Elephanta cave island and other local attractions. Arrive at the commercial capital of India and check in at the hotel with the assistance from Incredible India tour representative. Rest of the day free for leisure. Take off to the beach capital of India – Goa. The fringed coconut trees on white glistening sand have a unique world of their own. Spruced with the array of beach shacks, these exotic tropical beaches offer perfect sights, taste and experiences to make the tour an unforgettable part of memories. Rest of the day is free to walk along side the beaches of Goa. Begin the day with the sightseeing of Panjim, the capital of Goa famous for its beautiful churches and cathedrals. Take a boat cruise on Mandovi River for an unforgettable experience at the sundown. Planning Day 4 is entirely on you. 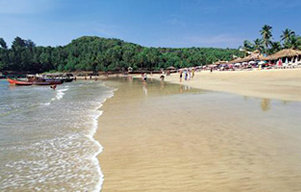 You can plan out your day by lazing on the beaches, or relishing flavours of spicy Goa. You can even indulge in the colloquial drink Fenni and dance out loud in the pubs and clubs of the state. Spend your last day in Goa on the pristine beaches famed worldwide for their ethereal charm, elegance and beauty. 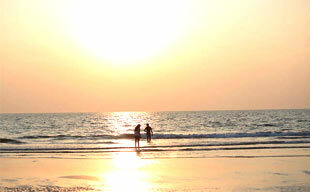 Leave the dream destination of Goa with the languish memories with a flight back to Mumbai. Arrive and check in at hotel. Evening at leisure. Begin the exhilarating excursion to Elephanta Caves Island. This island located at a 1 hr ferry distance from Mumbai's Gateway of India consists of two groups of caves; one is a group of five Hindu caves and second is a smaller group of two Buddhist caves. Later this day, visit notable attractions of Mumbai which includes Dhobi Ghat, Crawford Market, Marine Drive and old mansions of posh Colaba locality. Transfer to Chattrapathi Shivaji International Airport and take off towards your own destination.